Seeds at Ocampa planet (limit one here). 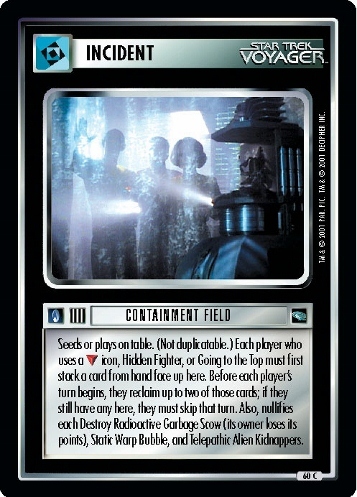 Each player may seed a non-Borg ship here. 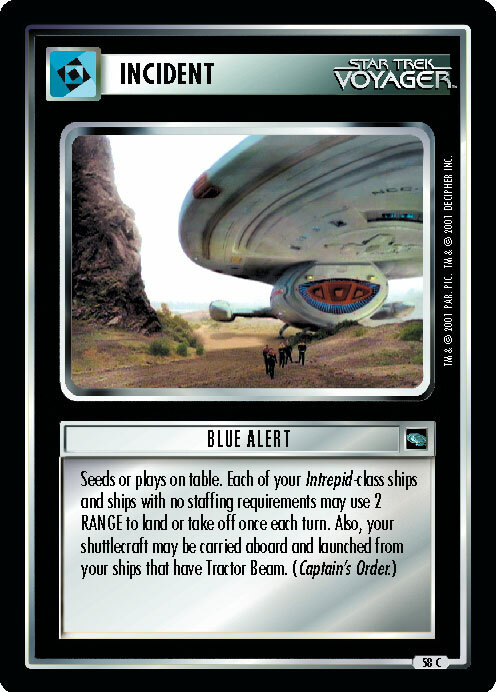 OR Plays once each turn to relocate your ship in the Badlands Region to Caretaker's Array. OR Plays at any time, for free, if a ship is about to be destroyed by Navigate Plasma Storms. Instead relocate ship to Ocampa planet or owner's hand.